In her role of general supervisor, Tammy Dunahoo is in direct charge of the the activities of district supervisors, as well as and devoted to the health and growth of Foursquare churches throughout the districts in all 50 states. She has served in this role since 2009. Through her engagement in the implementation of the Reimagine Foursquare process, there has been a net increase in churches and congregations through multi-site campuses, ethnic congregations, church plants, chaplain congregations and creative expressions of faith communities. 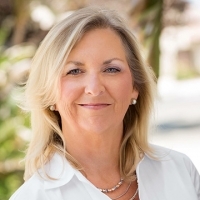 Tammy currently serves on the Foursquare board of directors, cabinet, numerous committees and additionally on the board of trustees of Life Pacific College.